In the process of repair, all objects and elements of the room are subject to change. But not everyone has sufficient funds to upgrade furniture. If the frame is still strong and reliable, then there is no need to go to the store for shopping - you can modify and restore the upholstered furniture yourself. The central place in the living room is a sofa or sofa. If you do not know how to make a constriction for small money, we recommend that you read this article. 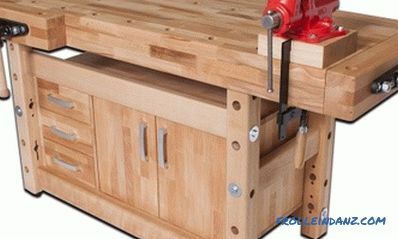 In addition, you should choose new materials: filler and material for upholstery. Consider the most popular options. Density. It depends on which element the filler is selected for. For example, for sitting you need a larger indicator, and for the back and armrests - a smaller one. So, experts recommend seating for a density of 30 kg / m 3 (brand EL3040 and EL4050), and for armrests - 25 kg / m 3 . Tapestry is a dense and noble fabric that has anti-dust properties. A great option for rooms made in retro style. Jacquard - rayon with double-sided pattern. The material is very aesthetic, so it looks solid. Cleared without problems. Flock is made from natural (cotton) or artificial (polyester) base. The material has a velvety in a small volume, thanks to which it is pleasant to touch it. Can be cleaned dry or wet. Cat's claws are not afraid of such a sofa, since there are no traces left on it. Velor has a high strength and low pile. Not wrinkled. Shinil - is quite similar in appearance to velor, but unlike him, the material is of higher quality. In addition, he breathes, has a slight hairiness. 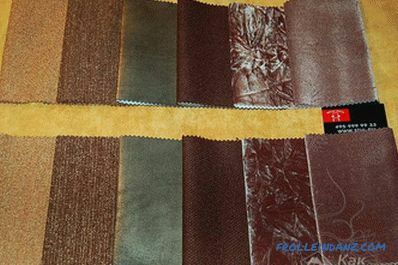 Faux suede - can be either non-woven or woven. The material is well cleaned, you can carry out wet cleaning with warm soapy water. 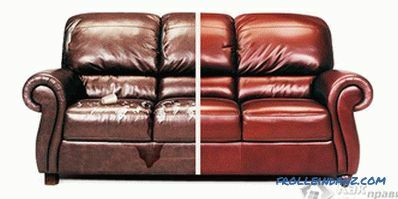 Leather can be either natural or artificial, depending on the restoration budget and your own preferences. The material is durable and practical, but is afraid of the effects of animal claws. Also in the list of necessary materials should be recorded furniture tape, braid and piping. This consumables, which will be needed when upholstery. locks for fixing the backrest. Remove the bolts that secure the armrests to the base. Fold out the sofa and turn it over to face the floor. 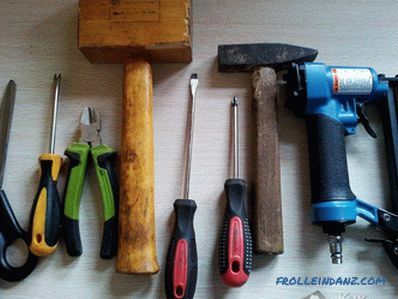 Remove old fasteners: nails and staples. Remove old upholstery and filler. In the presence of defective and broken springs - completely remove the unit. The upholstery and the filler must be carefully removed, since subsequently new elements will be patterned on them. The main part of the process includes several steps. 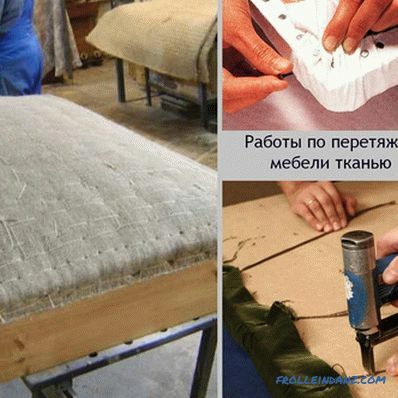 To know exactly how to fit the sofa, you should perform everything step by step and carefully. we insert the block back and fix it with nails. 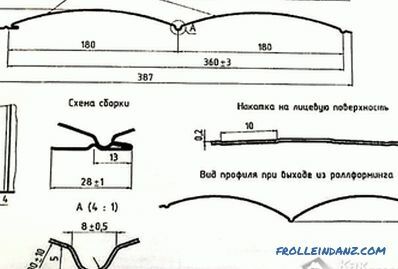 It is possible to make the old springs more elastic with the help of foam pieces or an old blanket. Springs stuffed with sliced ​​foam. 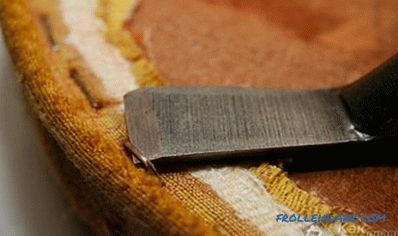 If an old blanket was chosen, then they would cover the entire block from above and sew it with a needle with a string. To sheets of foam rubber lay tight, they are pre-coated with glue. 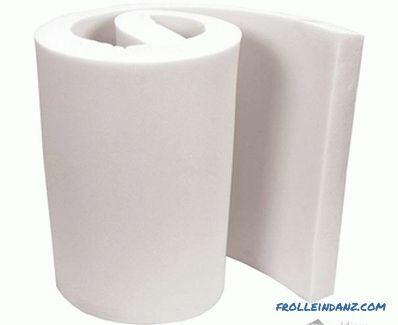 To make the foam rubber look more voluminous, you can lay a synthetic winterizer over the foam rubber. Looped springs can not be removed, just stretch them - so they will last longer. we sew everything on a sewing machine. 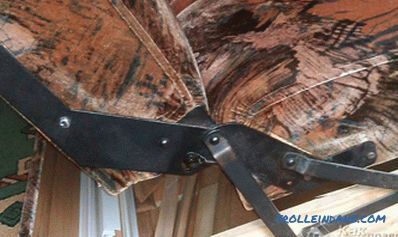 we fix new covers with the help of a stapler, at the same time the material must be tightened every time the next fasteners are driven. we fix the wooden panels at the end, before they are painted, if necessary. All processes are quite simple and require only attentiveness. Now you know how to cover the sofa yourself and save a decent amount on this. Constantly tightening the upholstery is required in order for the material to lie flat and smooth. Work should be done on the long side and move towards the short. If in quality The new material was selected leather, here the process of covering is somewhat different, more precisely, it will be necessary to take into account several important points. 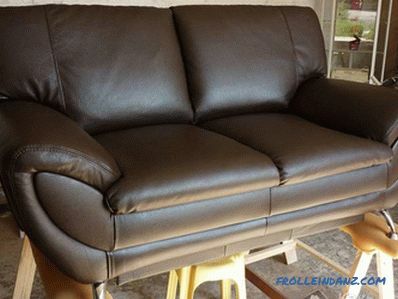 It should be noted that the sofa, covered with leather, will look somewhat more respectable, and the process of care will be easy, because, unlike textiles, it is easy to remove dirt, dust, grease stains and other types of dirt from the skin. The sequence of work performed during disassembly and repair of the sofa frame is no different from the previous description, so we will not dwell on it again. 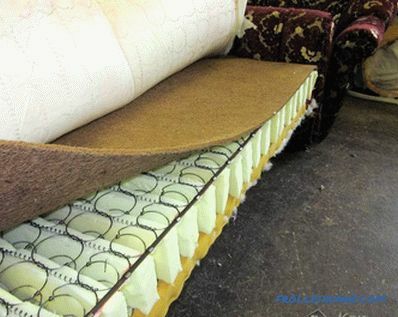 We pay great attention to the removal of the old upholstery, which will be used as a pattern for the pattern of a new material. 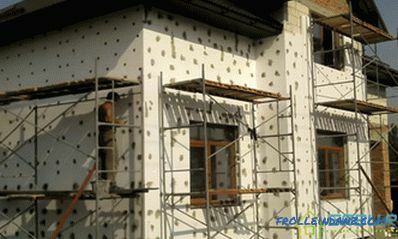 In addition, you will also need a lining in which any adhesive material will act. in order not to damage the skin when sewing (the sewing machine foot may leave marks), you should first lubricate the material with petroleum jelly. 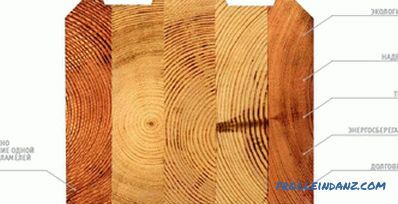 You will have to work with allowances that were left for the seams in the process of cutting. If they are put together, then from the front side they can bulge a hill. 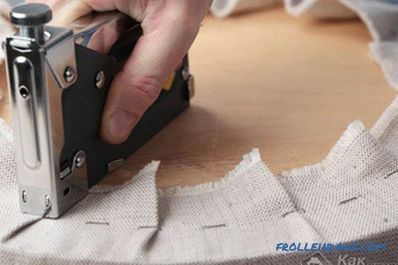 To get a flat and smooth surface, you need to well separate and iron the allowances through gauze with an iron. The stitches will be securely fastened using tape. Summing up, we can say that the restoration process can be completely carried out independently without the assistance of outside help. It is enough to purchase the necessary materials, assemble a simple tool for the work and start the painstaking work - covering the sofa.